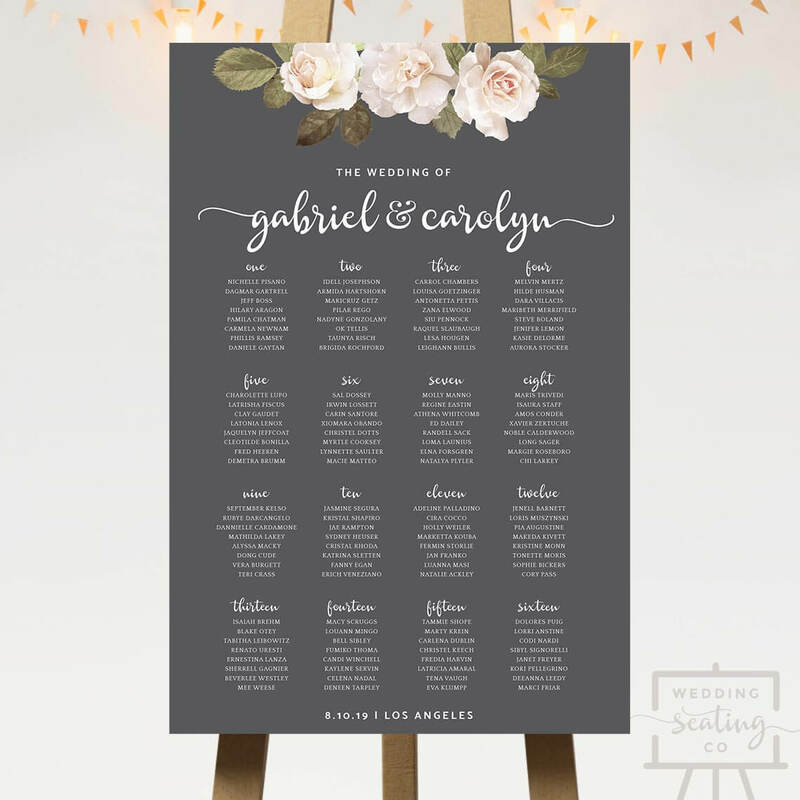 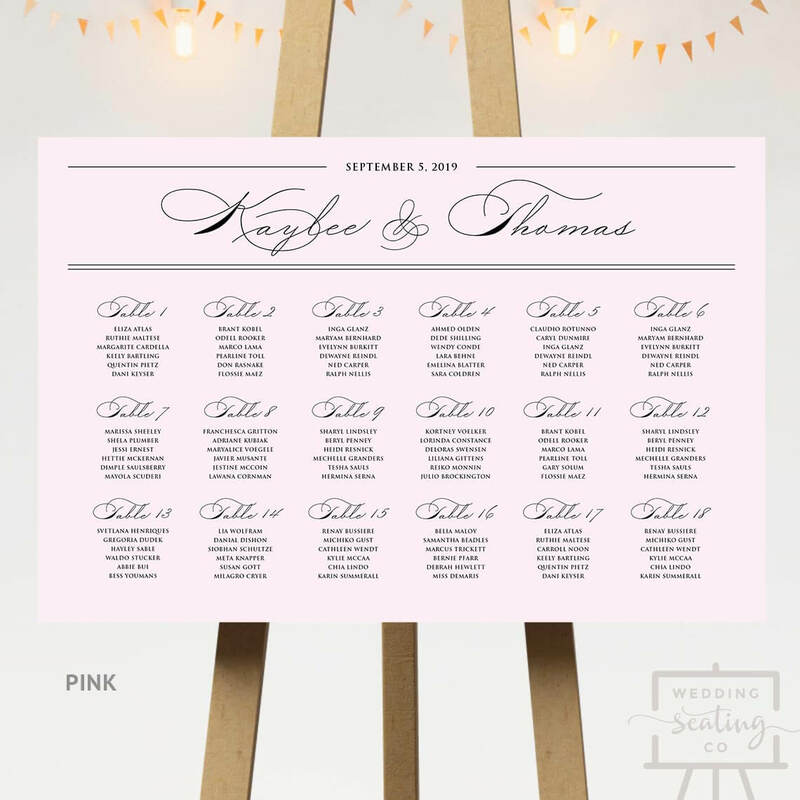 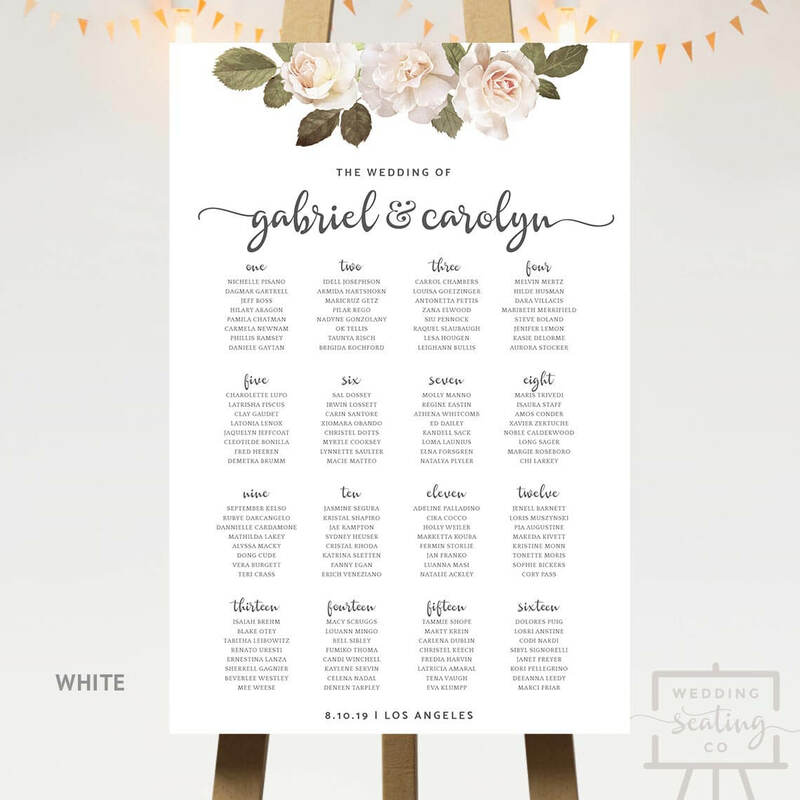 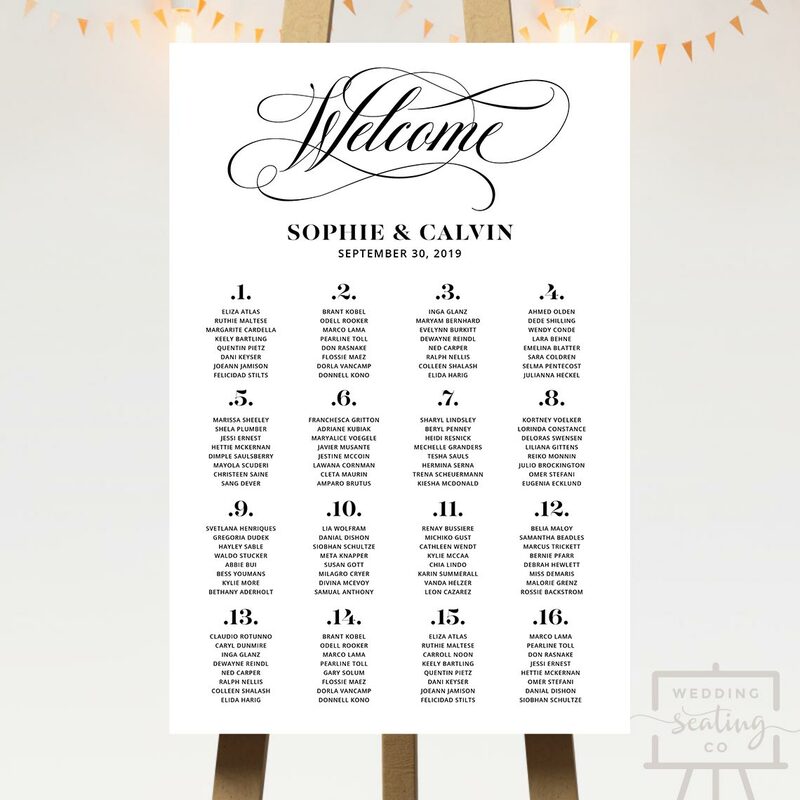 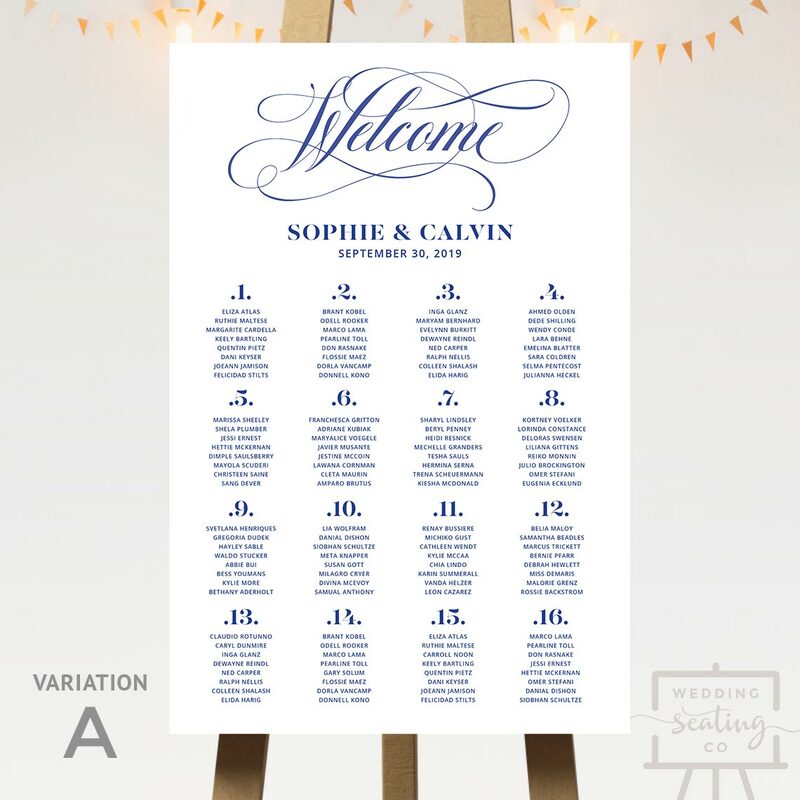 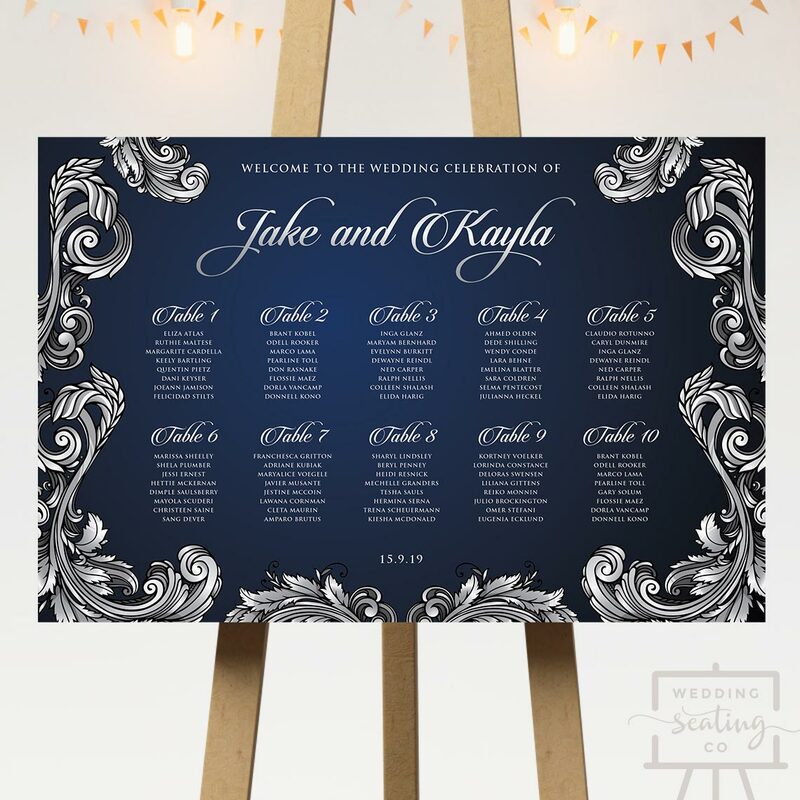 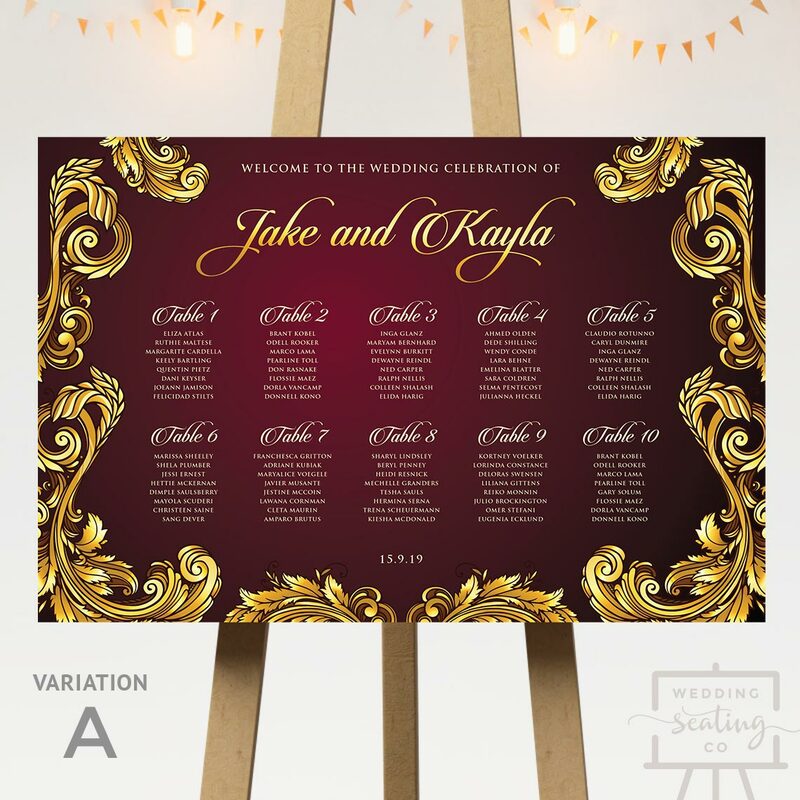 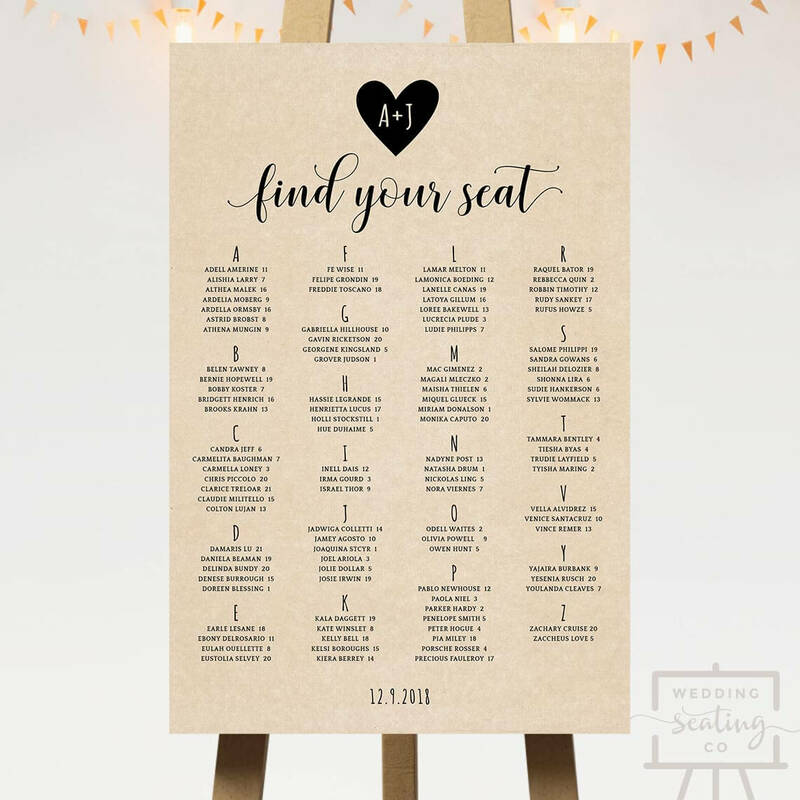 A Baroque Wedding Seating Chart featuring an ornate and extravagant design around the guest assignment plan. 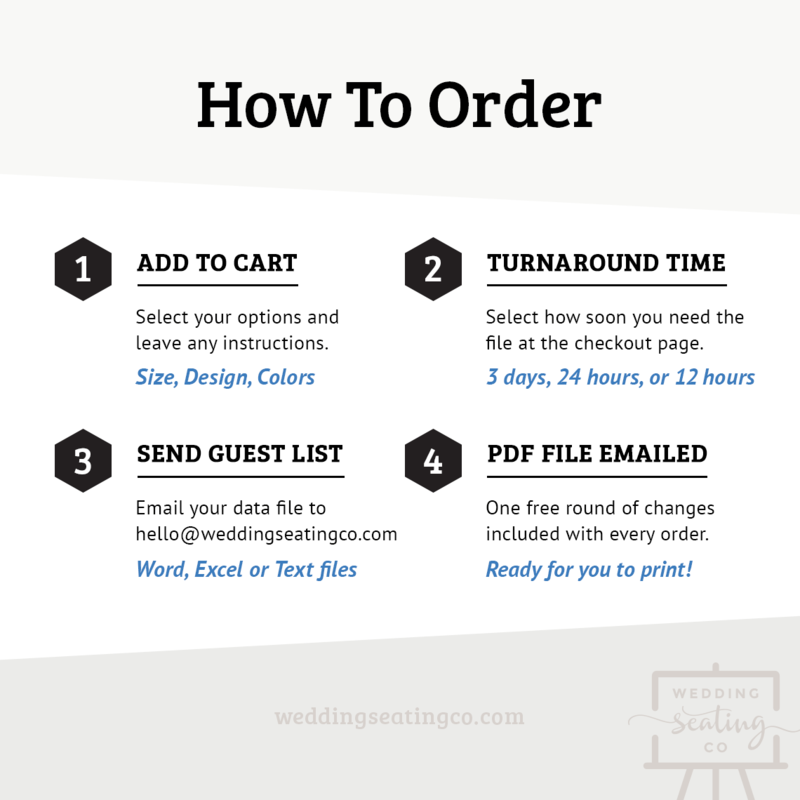 Choose from either the red or blue presets, or specify the colors you require in the options below. 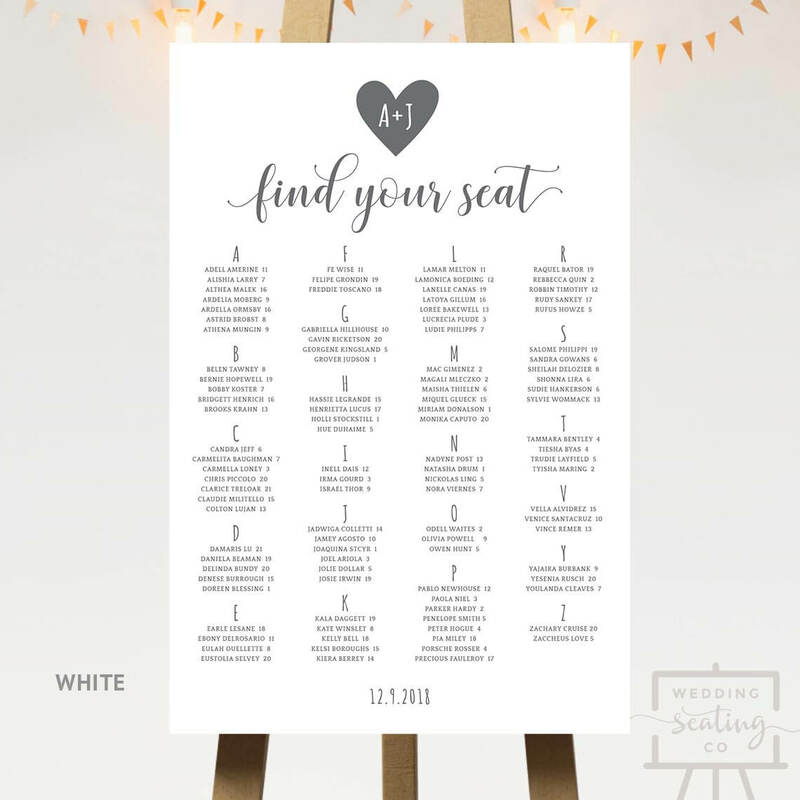 Scroll down for full details of Baroque Wedding Seating Chart.